Boston Marathon champions Meb Keflezighi and Buzunesh Deba will join B.A.A. 10K winners Daniel Chebii and Mary Wacera for June 25 race. BOSTON – The 2017 B.A.A. 10K, presented by Brigham and Women s Hospital, will feature one of the strongest fields in race history, bringing together Boston Marathon champions, Olympians, and global medalists on the roads of Boston. The seventh annual race will be held on Sunday, June 25, starting and finishing on Charles Street adjacent to Boston Common. 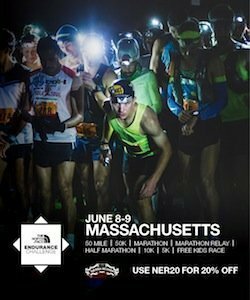 Racing on one of the fastest courses in the world, the event will showcase Boston s Back Bay and Beacon Hill neighborhoods. Following a memorable run to complete his Boston Marathon career, 2014 champion Meb Keflezighi will return to Boston aiming to become the first American male winner in B.A.A. 10K race history. Keflezighi has inspired the region with his determination and sportsmanship, and was presented the Patriots Award by the B.A.A. this past April for his philanthropy. Keflezighi isn t the only Boston Marathon champion entered, as course record holder and 2014 winner Buzunesh Deba will vie for the women s title. Deba is coming off a seventh place finish at this year s Boston Marathon, and will look to use her speed through Back Bay aiming for the $10,000 first-place prize. Looking to repeat as champion of the B.A.A. 10K is Daniel Chebii from Kenya. Chebii cruised to a 27:55 win at last year s B.A.A. 10K, defeating the field by seven seconds. Also returning are 2015 champions Mary Wacera and Daniel Salel, as well as two-time champion Stephen Sambu (2013, 2014). Not to be forgotten is Buze Diriba, the reigning B.A.A. 5K champion who ran 14:54 to win in April; Diriba s time remains the fastest 5K in the world this year. Dathan Ritzenhein, who finished fourth in his B.A.A. 10K debut last year, returns as well. He s on a winning streak on the roads, winning both the USA 25K Championships and the Great Manchester Run 10K last month. Olympians Cam Levins (Canada), Dominique Scott (South Africa), and Betsy Saina (Kenya) will bring an international flair to the field, all with strong racing credentials. Saina was runner-up at the 2014 B.A.A. 10K. Sporting the B.A.A. s traditional adidas unicorn racing uniform will be Katie Matthews, Katie Kellner, and Margo Malone. Four-time B.A.A. 10K wheelchair champion Tony Nogueira, as well as reigning women s winner Carla Trodella will race for the push-rim wheelchair title. Both the men s and women s champions of the B.A.A. 10K, presented by Brigham and Women s Hospital, receive a $10,000 (USD) award. A total prize purse of $48,500 (USD) will be distributed to the top ten men and women overall, the top three in the masters division, and the top three in the push rim wheelchair division. A bonus of $7,500 will be awarded for a men s or women s event record in the open division. The men s event record of 27:19 was set at the inaugural edition of the B.A.A. 10K in 2011, while the women s event record stands at 30:52, set last year by Shalane Flanagan. Flanagan s time is also an American record. The B.A.A. 10K, presented by Brigham and Women s Hospital, begins on Sunday, June 25, at 8:00 a.m. EDT on Charles Street between Boston Common and the Public Garden. The 6.2-mile course is a flat, fast tour through Boston’s Back Bay neighborhood. Following the start on Charles Street, the race turns onto Boylston Street and Arlington Street, then winds down picturesque Commonwealth Avenue and Bay State Road as far west as Babcock Street near Boston University. Participants then head back on Commonwealth Avenue, under the iconic Boston Strong sign, around the Public Garden, and finish on Charles Street. Race registration remains open. For more information on the B.A.A. 10K, please visit www.baa.org. A total of $48,500 (USD) in prize money will be awarded equally to men and women based on the time from the starting gun (not by net time). Masters division (40 and older) runners will be eligible for both overall prize money awards and Masters Division prize money awards. Bonuses for event record times established at B.A.A. Distance Medley events will be $5,000 for the B.A.A. 5K, $7,500 for the B.A.A. 10K, and $10,000 for the B.A.A. Half Marathon. Boston Marathon event record bonuses continue to be provided through John Hancock s sponsorship of the Boston Marathon. In addition, a runner who wins three of those four events in 2017 will be awarded $50,000. Only the single highest bonus will be awarded to a runner. ABOUT THE BOSTON ATHLETIC ASSOCIATION (B.A.A. )( Established in 1887, the Boston Athletic Association is a non-profit organization with a mission of promoting a healthy lifestyle through sports, especially running. The B.A.A. s Boston Marathon is the world’s oldest annual marathon, and the organization manages other local events and supports comprehensive charity, youth, and year-round running programs. Since 1986, the principal sponsor of the Boston Marathon has been John Hancock Financial. The Boston Marathon is part of the Abbott World Marathon Majors, along with international marathons in Tokyo, London, Berlin, Chicago, and New York City. More than 60,000 runners will participate in B.A.A. events in 2017. The 122nd Boston Marathon will be held on Monday, April 16, 2018. For more information on the B.A.A., please visit www.baa.org.